Coming off an emotional, 20 point loss Tuesday, Coach McKay will attempt to get his team back on track Saturday night when the Flames host NJIT at 7pm. The Highlanders are 18-5 overall and 6-2 in the ASUN, just 1 game behind Liberty. 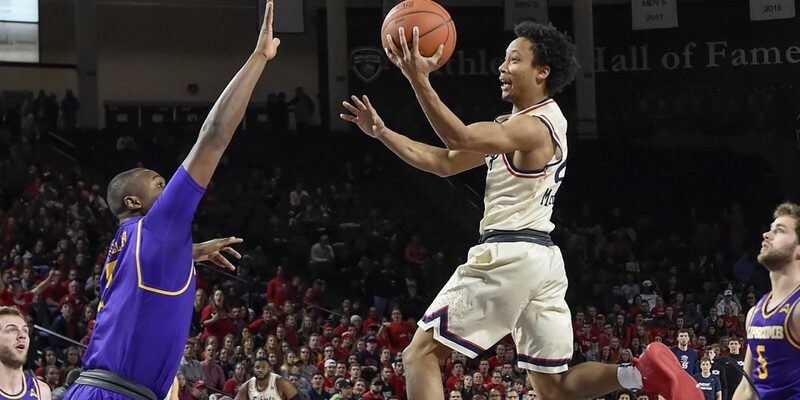 All season Liberty and Lipscomb have been labeled the front runners in the league, but NJIT has been right on both of the LUs heels throughout the year. They raced out to a 12-3 mark in non-conference play, but many questioned the strength of their schedule, as they faced just one top 100 team out of conference. They still handled the opponents they were supposed to, and entered league play eager to prove they would be competing for a conference championship. 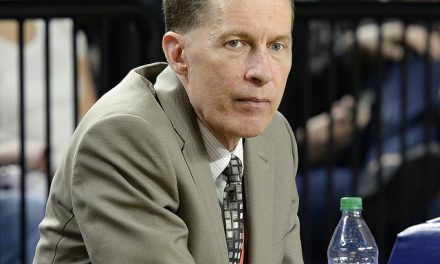 After dropping consecutive games to North Alabama and Lipscomb to fall to 1-2 to open in the ASUN, NJIT has raced off 5 straight victories including a win over FGCU Wednesday night. Playing in those red jerseys, the Highlanders are 9-3 on the road this season, the most road wins by an ASUN team. NJIT (or Radford North as some Liberty fans have referred to them) is led by 3rd year head coach Brian Kennedy. Kennedy had a long and winding path that led him to his current position. After a playing career at Princeton and Monmouth, he took over his family’s basketball business, The Hoop Group, an instructional basketball camp. He stayed in that position until 1997 when he became an assistant at DePaul until 2002 under his uncle Pat Kennedy, the long-time head coach at Iona, Florida State, DePaul, Montana, and Towson. Brian then left coaching and went into the financial sector until returning as an assistant at NJIT in 2009. He served under Jim Engles until Engles left to coach at Columba, at which point Kennedy was promoted to head coach. In his 3 seasons, he has consistently raised the Highlanders’ level of play. In 2017, NJIT finished 11-20 overall and 3-11 in the ASUN. They improved to 7-7 in conference play a season ago and 14-16 overall. This season, the Highlanders are having arguably its best season in its 13-year Division I history. NJIT is led by the talented inside-outside combo of Zach Cooks and Abdul Lewis. Cooks is a 5’9″ sophomore guard who was a unanimous selection to the ASUN All-Freshman team a season ago after averaging 8.5 points per game. His production is up significantly this season, as he is 3rd in the conference in averaging 18.7 points per game while shooting 39% from 3. Cooks also averages 4.7 rebounds and 2 assists per game. 6’10” senior big man Abdul Lewis was a preseason All-Conference selection this season after being named to the 2nd team last year. He led the ASUN in rebounds as a junior, averaging 8.8 per game. He continues to lead the league this year, as his average is up to 9.6 per game while also averaging 12.2 points. 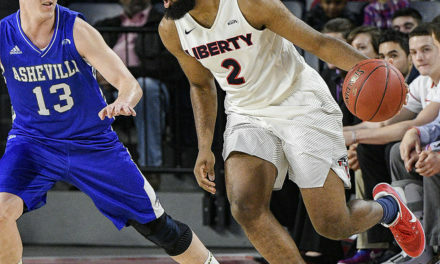 Liberty freshman guard Darius McGhee is questionable after leaving the Lipscomb game with an apparent ankle injury.